Taylor University Online is a liberal arts institution committed to the lordship of Jesus Christ and evangelical Christianity. Each class is taught from a Christian worldview, and will challenge you spiritually as potential ethical dilemmas faced within your future career are considered. Ranked the number one Baccalaureate College in the Midwest by U.S. News & World Report for the past three years, we are committed to academic excellence. To achieve this, classes are limited to 10 students, which are taught by experienced professionals. Also, each BBA student will graduate with experience on his/her résumé as a practicum places the student in a real business. No required class times. Go to class at 3am…in the airport terminal — whatever fits into your schedule. You are busy trying to balance family, church, work and now school. That's why we designed the degree to be completely online and customizable to your schedule. In one word, FLEXIBLE. Christ-centered. Academically excellent. Flexible. These words depict our mission and commitment to students. Coupled with our service-minded staff, students will have the time and support needed to be a successful online student. 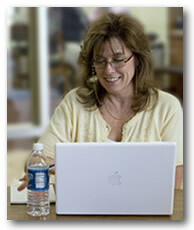 Courses are completed in two formats. Major courses are taught in a virtual classroom which fosters an environment of communication and collaboration with fellow classmates. Courses outside of major requirements are delivered in independent study format in which students work one-on-one with the professor, adding flexibility to the program. All courses are facilitated through Blackboard®. Students can minor in marketing and/or human resource management. Students are encouraged to dedicate elective hours to pursuing the 24-25 credit hour minors; this approach will not add additional hours to the 120-credit-hour requirement for the BBA. The classes will be taught in independent study format at the $275 per credit hour tuition rate, which does not increase the overall cost of the degree if classes replace electives. Students may transfer up to 60 credits (out of 120) from regionally accredited institutions, which makes this degree ideal for students who currently hold an associate degree. However, previous course work is not required. Other opportunities to receive credit include College-Level Examination Program (CLEP) and the Prior Learning Assessment (PLA) program. PLA is a Taylor process in which students document college level learning that occurred through life experiences in order to receive credit. Financial aid is available for students who maintain part-time status. Our courses have been approved by the Department of Veteran Affairs. Students entitled to receive veterans educational benefits should contact their Veterans Affairs administrator for details. A merit-based scholarship program is available to students as well as a church matching grant. Taylor University is accredited by the Higher Learning Commission and a member of the North Central Association (30 North LaSalle STE 2400, Chicago, IL 60602-2504; 800-621-7440). The virtual campus is also affiliated with the Association of Christian Continuing Education Schools and Seminaries as well as the Indiana College Network. Must have access to the Internet. Federal grants and loans are available to those who are eligible. Applicants may apply by completing the Free Application for Federal Student Aid (FAFSA code # 001838). Application also requires a personal recommendation as well as high school and college transcripts. A university representative will be in contact with you to work through the short application process.